Priceless Parenting Blog: Back to school, back to bullying? I just wrote a comprehensive post on how parents can help kids cope with back to school anxiety if they've been bullied. Billy Lucas http://billylucas.org is the latest suicide due to bullying. Students at his Indiana high school pushed him to it. His principal's only defense was that he didn't see his school being that different from others, I guess, therefore he meant it wasn't his fault. Well, lots are culpable. Phoebe Prince and Billy Lucas didn't need to die. They were God's children trying to find their way. We must defend our children. 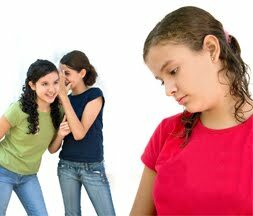 If you know of a bully in your school, report him/her to http://bullyalarm.us Then, for goodness' sake, protect your fellow student/friend. I'm deeply saddened to hear about Billy Lucas taking his life due to bullying. Thank you for passing along the information on the bully alarm site.